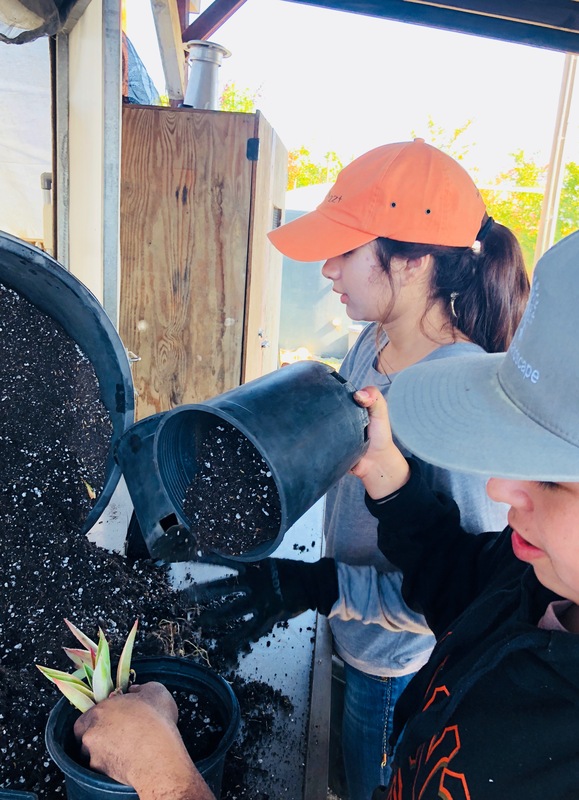 Fourteen-year-olds Bianca Herrera of Rincon Valley and Kelsei Jimenez of Sonoma are spending their summers in 100-degree heat tending our plants, but neither is wilting. Clearly they’ve learned something about thriving in heat from the succulents they’re growing. 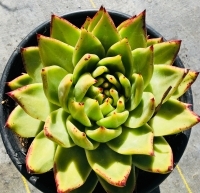 This summer, we broadened the number and variety of succulents we offer. 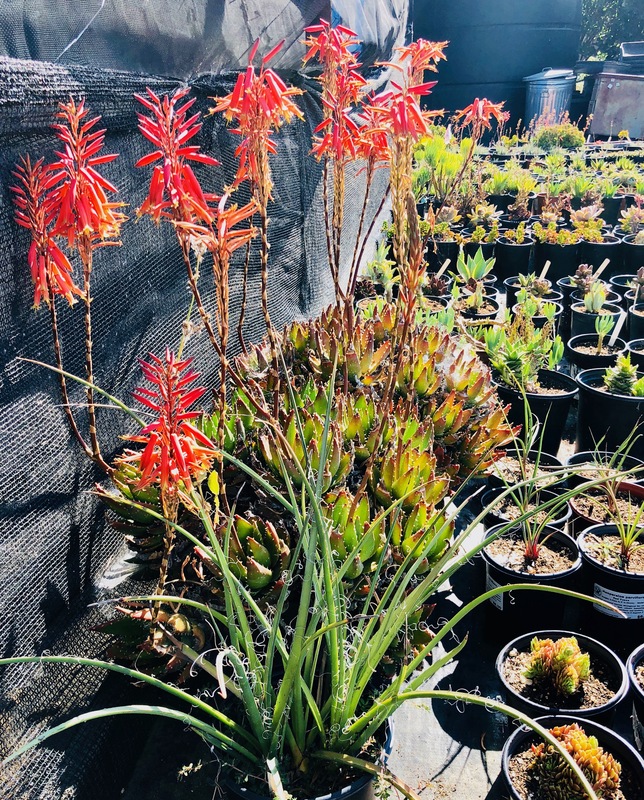 Succulents’ ability to tolerate both Sonoma Valley’s long-day summer growing season and winter’s relative cold renders them ideal for our region. 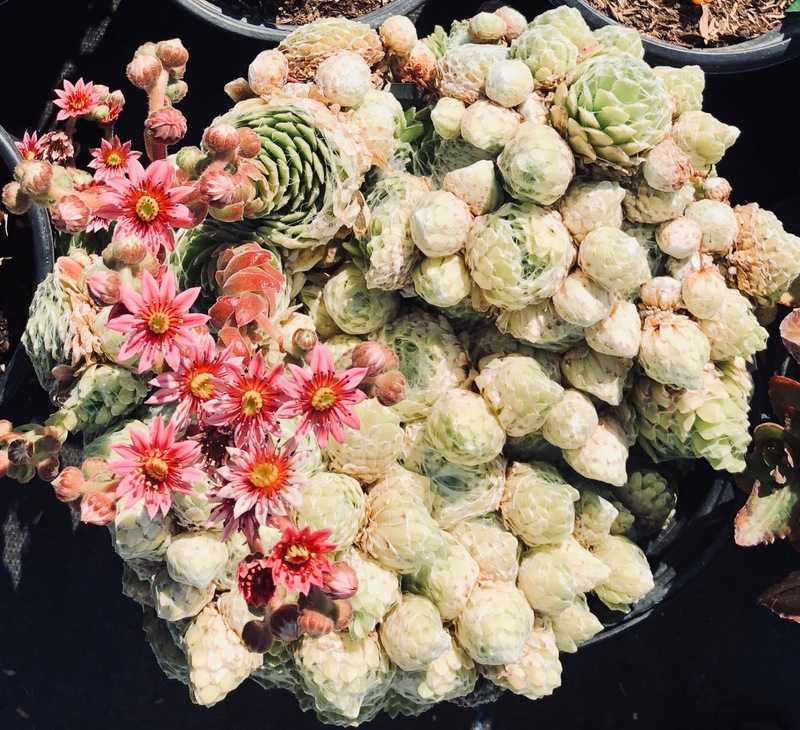 With a little water and a lot of sun, most succulents provide an extraordinary range of colors, textures, and shapes. Our succulent offering is Gardener Eye Candy. 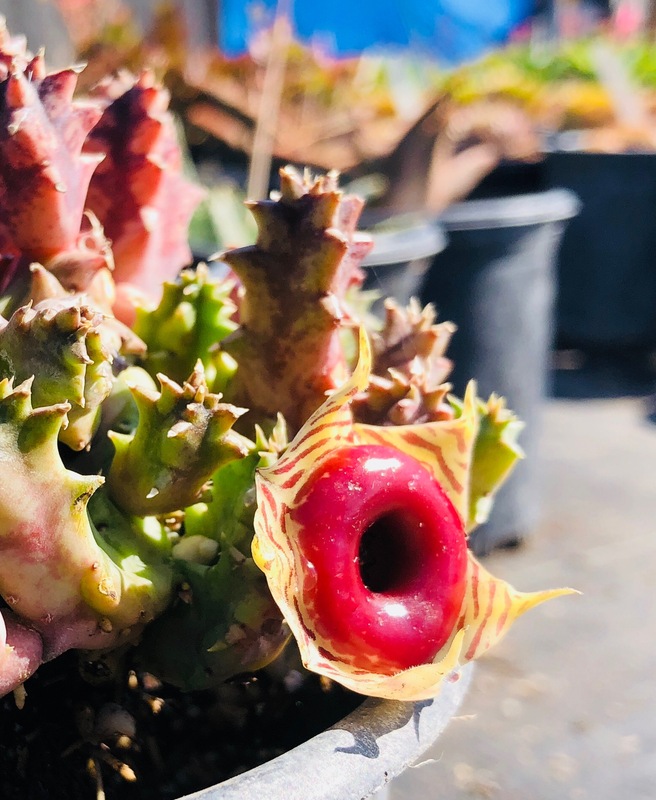 Extra-special specimens — like the Huernia zebrina or “lifesaver plant” with its unusual flower, and the Senecia rowleyanus, commonly known as “string-of-pearls” – complement our more more common varieties, such as agaves, aloes, and sedums. 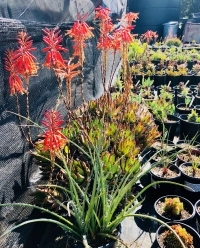 Bianca speaks of plants and nursery operations with an authority beyond her years and conducts sales transactions with the confidence of a seasoned manager. The granddaughter of our founder Paul Martinez, she has been part of the nursery her entire life. 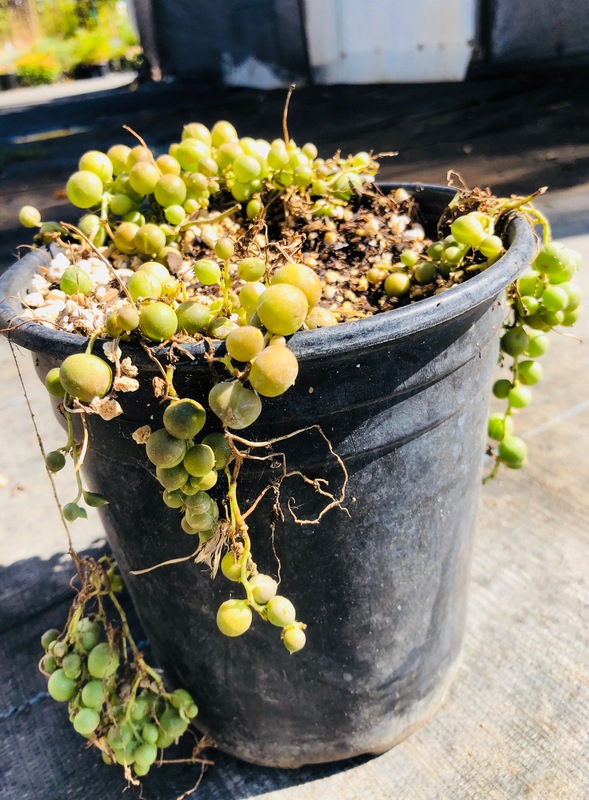 Fond memories include driving golf carts amongst plant rows at age 7 with her father, Gelacio Herrera, who manages our sister company, PDM Landscape. Bianca plans a college double-major in architecture and horticulture so she can pursue a career in architecture. Kelsei had no gardening experience prior to this summer. 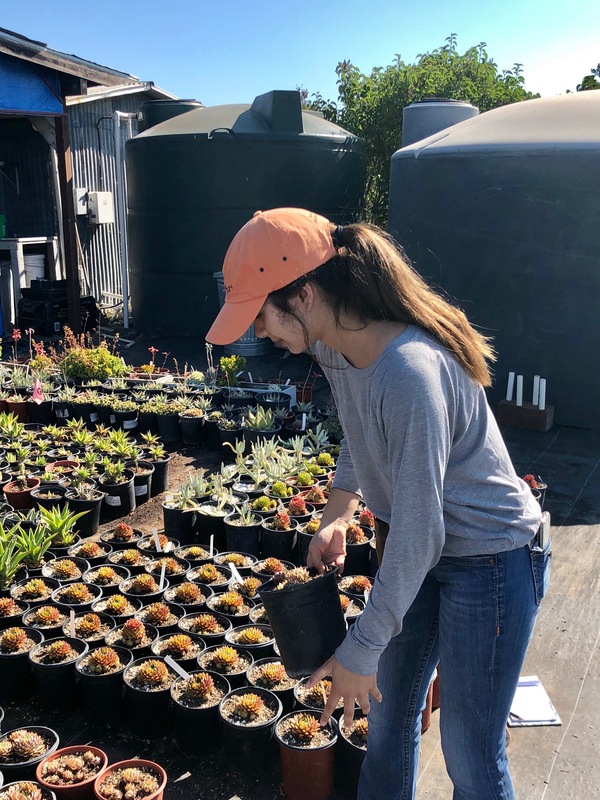 After Paul Martinez met her mother, Betzy Chavez, during the filming of a documentary about the 2017 Sonoma fires he offered Kelsei the opportunity to work at the nursery. 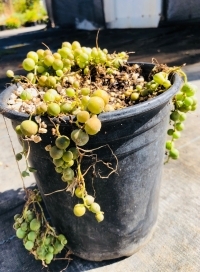 “I really like what I’m doing,” says Kelsei, “especially learning the names of plants and how to take care of them. I used to think that grass was just grass—I didn’t know any of the botanical names or that there were different varieties.” The experience here at SVWN has inspired her to consider pursuing a career in horticulture. Both young women will shift their learning focus to high school in August, but their experiences as nursery employees will no doubt continue to resonate. 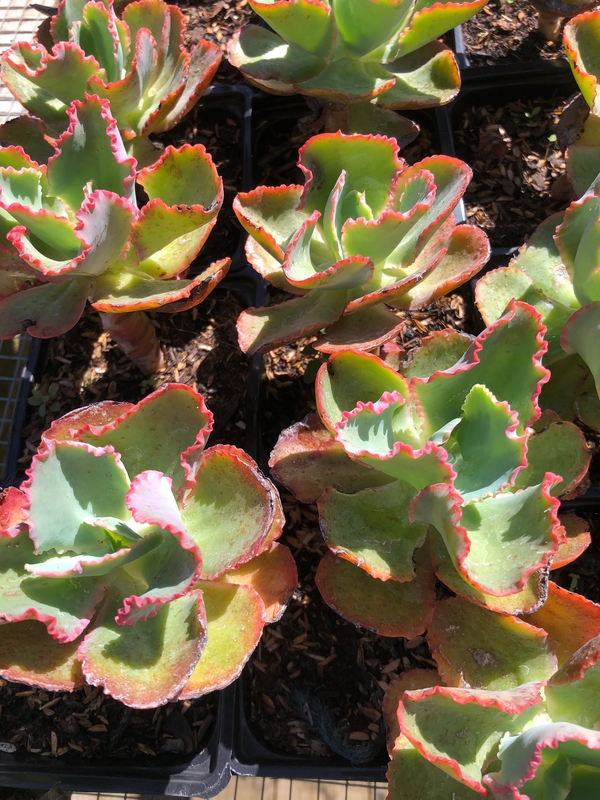 According to Kelsei, “Now I can identify plants in Sonoma and that’s so cool, even though I think it’s starting to annoy my friends and family.” And thanks to their hard work and attention to detail, our new crop of succulents will be our finest yet. 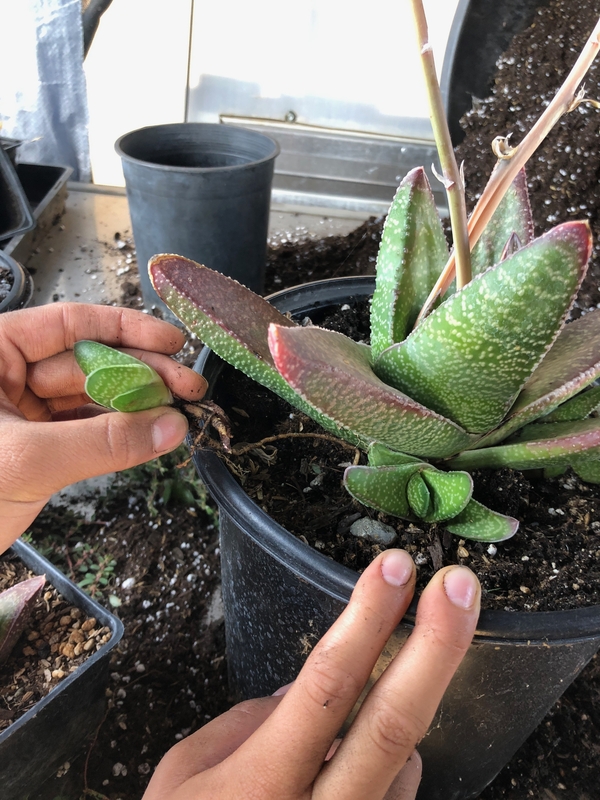 Bianca and Kelsei carefully pull the “pup” off a mother plant and place it in a new container. 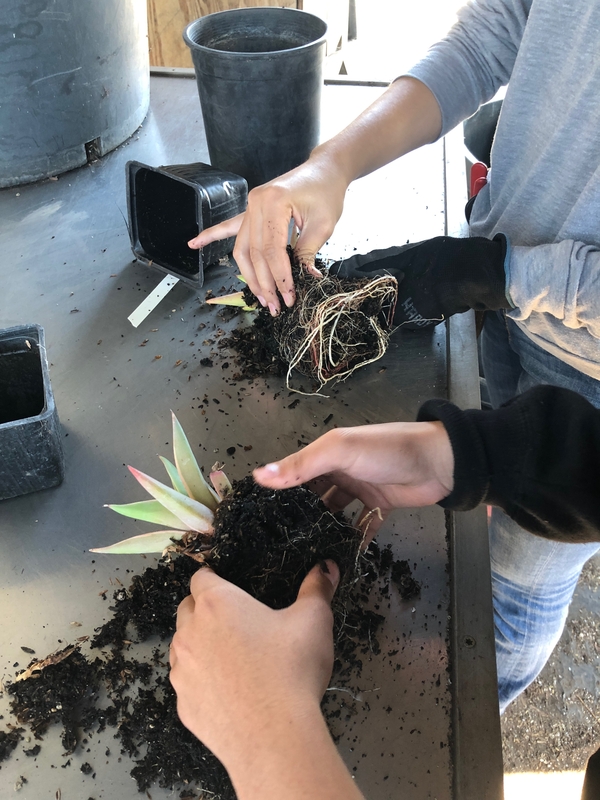 Kelsei Jimenez, 14, chooses a succulent to divide and plant. Please enter your email to subscribe to our newsletter. You may unsubscribe at any time.